Langkawi (also known as the ‘Jewel of Kedah’) is situated within the state of Kedah and geographically located about 30km off the mainland coast of Peninsular Malaysia’s north-western region. It is most easily recognized by the giant signature sculpture of the majestic eagle, placed in the middle of the Eagle Square. Contrary to popular beliefs, Langkawi is not a single island, but actually consists of 99 islands that are separate from the mainland. However, not all of those islands are habitable, since two-thirds of those islands are dominated by forest-covered mountains, hills and natural vegetation. 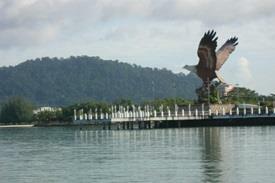 These three parks are among the most popular area for tourists when it comes to the Langkawi Geopark. Although, visitors should take note that there are actually no direct bus to Langkawi, but you can reach there by taking a bus to Penang and take the ferry to Langkawi. There are a number of ferry terminals in Penang that provides ferry services to the main Langkawi Island, like the Pangkalan Raja Tun Uda Ferry Terminal and the Pangkalan Sultan Abdul Halim Ferry Terminal. The good thing about these terminals is that they are located near to each other so passengers will have a choice of picking the most comfortable service according to their own preferences. Additionally, some of the ferries that heads to Langkawi Island will stop by the Pulau Payar Marine Park, so visitors will have a chance to check that out too. 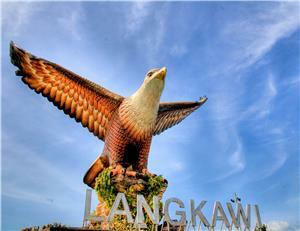 As mentioned, there is no direct bus to Langkawi, but Penang is one of the most popular gateway to the island. Most of the buses will stop at the Pangkalan Raja Tun Uda Ferry Terminal, but there are a number of ferry terminals around said area so passengers can easily walk around to choose the service that are most comfortable for them. Some of the ferry services available at those terminals include PG-LKW Ferry and Super Fast Ferry. Langkawi Geopark, Langun Island, Dendang Island (famous for yacht sailing), Burau Bay (famous for migratory birds), Datai Bay (famous for its white sandy beach surrounded by lush forests), Langkawi Cable Car, Langkawi Sky Bridge, Oriental Village, Kilim River, Coco Valley Duty-Free Supermarket. Book your tickets for the bus to Langkawi (through Penang) today!